My Other Mommy, Inc. Pet Sitting | Servicing all of Boca Raton, Parkland, Coconut Creek and parts of Deerfield. My Other Mommy means exactly what it says. 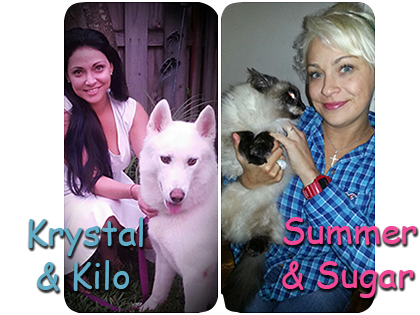 We will be your pets ‘other mommy’ when you have to be away from home. Whether it be vacation, a business trip or a long hour work day, we can be there to lend a helping hand. Its true. WE LOVE animals! But in addition to being ga-ga over four- legged creatures, we’re friendly, easy to talk to, self-motivated, responsible and educated. We tailor our service to your needs. No request for your baby is too much for us. Whenever our dogs are apart from us, all they do is cry and mope. Enter My Other Mommy. We did a short trial run weekend with Margie, and when we returned, they had not missed us at all! No crying and no jumping, no desperation behavior. Each time we have left them since, it has been the same. Margie is our very own dog whisperer. And we know she cares for them as well as we do. My Other Mommy has been true peace of mind for us.